A few more details have emerged regarding the partial sidewalk collapse outside 125 E. Fourth St. Saturday morning. 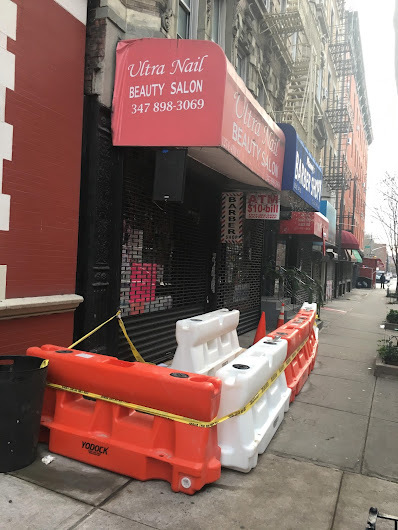 According to the Daily News, a worker at the nail salon was preparing to open the shop around 10:40 a.m. here between First Avenue and Second Avenue when a 5x4 section of the sidewalk caved in, sending the worker plunging into the building's basement. EMTs took the salon employee to Bellevue. Her injuries were not life-threatening, per the News. The city issued a partial vacate order at the address, which temporarily closes the salon and the adjacent business, Manny's Barber Shop. 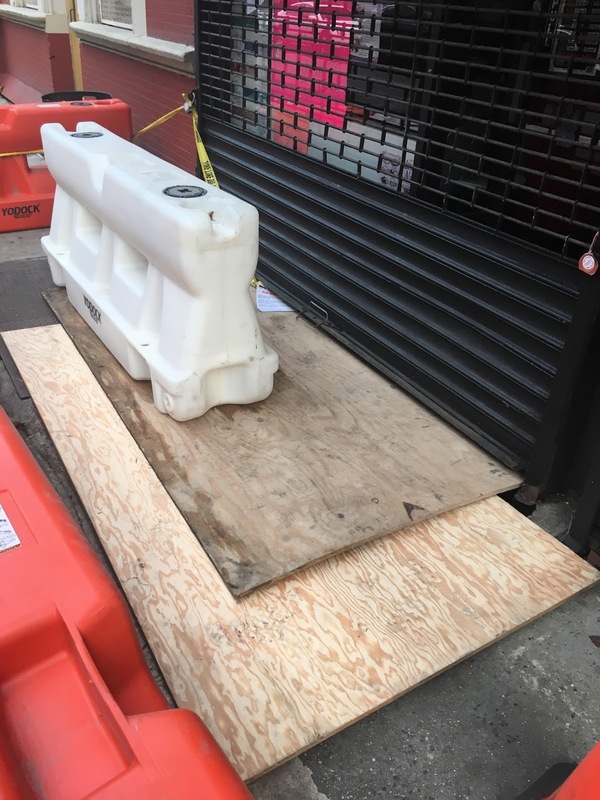 Per the News: The Department of Buildings issued "aggravated violations" to the property owner for failing '"to maintain the building in a safe manner." Public records show a court date of Feb. 1. This is a co-op building. Public records list the owner as: 125 East 4th Street Owner Corp.